Zion Senior Ministry offers Zion Seniors (age 55+) opportunities for spiritual growth, fellowship and fun! 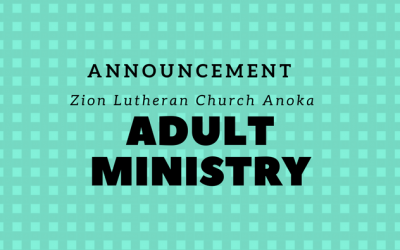 For more information about Senior Ministry at Zion contact Pastor Sue Wallager at: swallager@zionanoka.org. Led by a Zion pastor, this monthly worship service is held the first Sunday of each month at 1:30 p.m. and is open to everyone. Led by a Zion pastor, this monthly Bible study is held the third Wednesday of each month at 2:00 p.m. and is open to everyone. Led by a Zion pastor, these monthly communion services are open to everyone. Homestead of Anoka, 3000 4th Avenue in Anoka, third Wednesday of each month at 9:30 a.m.
Brookdale Senior Living (formerly Champlin Shores) 119 E Hayden Lake Road in Champlin, third Tuesday of each month at 1:15 p.m.
Walker Plaza, 131 Monroe Street in Anoka, second Monday of each month at 2:30 p.m.
Open to women of all ages, come for Bible study, conversation, service and fun! Groups meet monthly on Mondays and Tuesdays during the program year. Contact Pastor Sue: swallager@zionanoka.org for more information. Men’s group for all ages that meets the second Thursday of each month at 8:30 a.m. for Bible study and encouragement as they pray daily for Zion’s Sunday School children. For more information contact Pastor Brent: bcampbell@zionanoka.org. Men’s group for all ages that meets the third Tuesday of each month at 9 a.m. to discuss specific books of the Bible chosen by the group. For more information contact Pastor Brent: bcampbell@zionanoka.org. A “no stress” Bible study for men and women all ages. No experience needed! Group meets the second and fourth Thursday of each month at 11 a.m. during the program year. Contact Pastor Sue: swallager@zionanoka.org for more information. 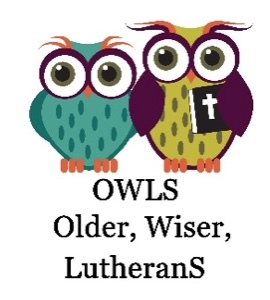 Older, Wiser LutheranS gather three to four times a year for fun and fellowship. 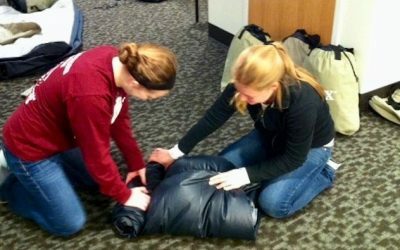 Past events include a field trip to the Martin Luther Exhibit at the Minneapolis Institute of Art, an entertaining ventriloquist program and a Valentine’s Day party. Watch for information about upcoming events in the weekly E-Update, the Life Together bulletin insert or the monthly Herald newsletter. Contact Dee Ann Cameron: dcameron@zionanoka.org for more information. Zion Pages Book Group meets regularly throughout the program year. All are welcome as we discuss great books this year!